You are so creative, Mayuri--love them all, especially the first one! The balloon dies & florals really "need" to come to my house! Oh, I am so thrilled to see your cards using this release. Absolutely gorgeous. 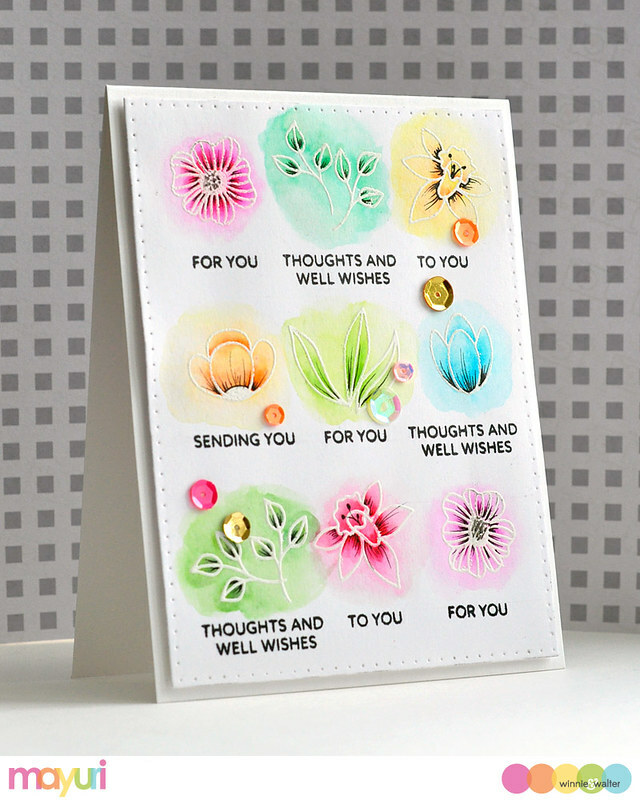 I adore the white embossed floral card. Lovely in every way!! Totally love the frosted look on the balloons....what a great effect!! 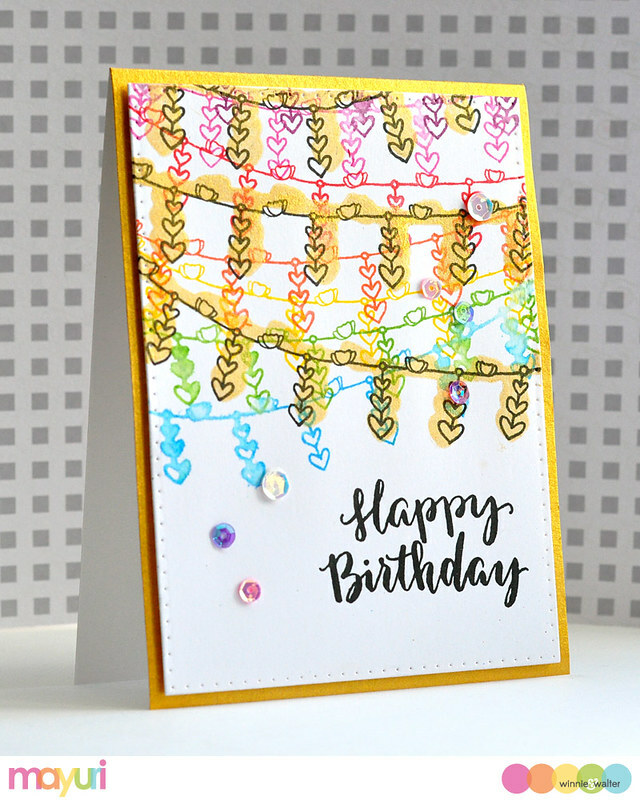 Love all the layers of colors on the heart card and the happy celebration of garlands on your Birthday card. Wow...each of these are just fabulous!! Awesome showcasing! 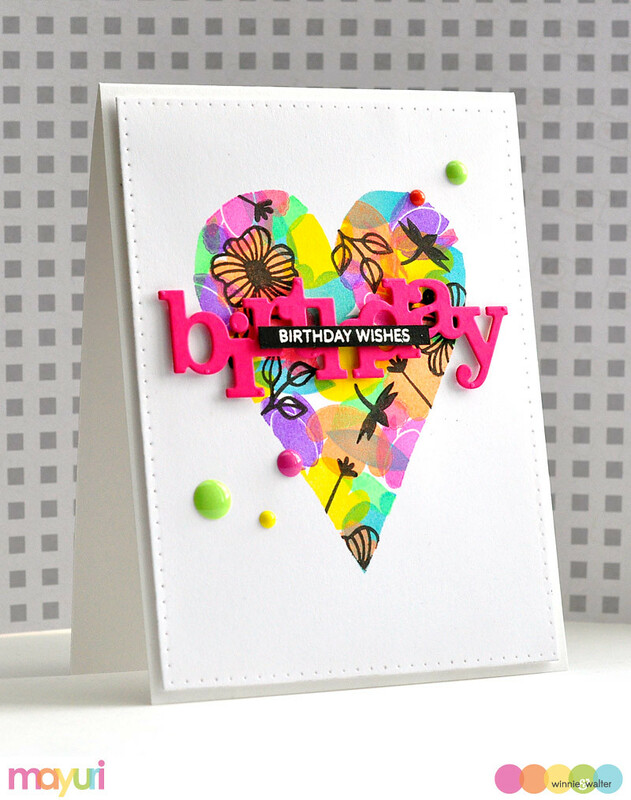 Impressed with Balloon one very much Mayuri, great textures! theyre all so pretty! I'm in love with the balloons and the garland one! Wow!! 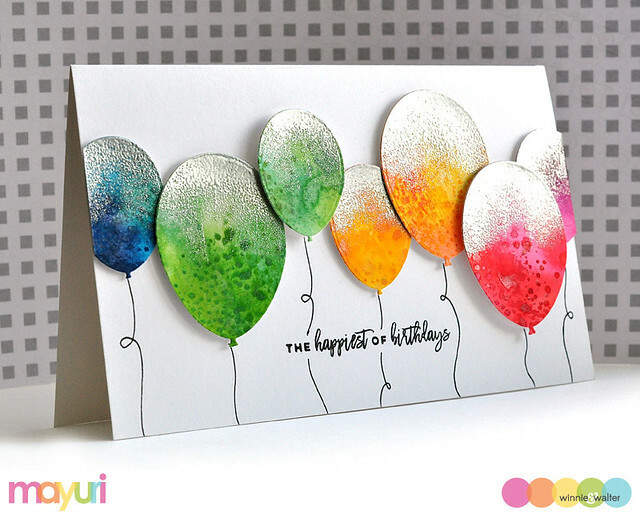 Those balloons look awesome with the white heat embossing and I would have never thought to do that. Just beautiful cards.